Last month, The Dissolve gave a positive review to Pavilion, a luminous slice-of-life film written and directed by Tim Sutton; and we went on to cite Sutton’s upcoming feature Memphis as one of the films we’d be most eager to see at the Venice Film Festival (if, y’know, we were actually going to the Venice Film Festival). In response, Sutton and Memphis’ producer John Baker—who previously produced the very good, very Pavilion-like documentary Dragonslayer—offered to give The Dissolve’s readers a first look at the trailer for Memphis, prior to the film’s première in Venice on August 31. 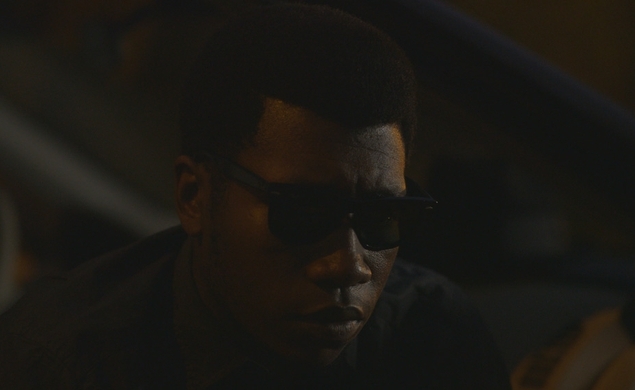 Avant-garde R&B singer-songwriter Willis Earl Beal stars as a musician who spends his time in Memphis “surrounded by beautiful women, legendary musicians, a stone-cold-hustler, a righteous preacher, and a wolfpack of kids,” while working less on his music and more on the state of his soul. Memphis is one of the first films to be made thanks to a grant from the Venice Biennale Cinema College, the Venice fest’s newly created program to help workshop and fund films by new talents. Aside from Beal (who also wrote and recorded the soundtrack), the cast is made up of non-actors, found in Memphis; and judging from the trailer, Memphis is going to be right in line with Sutton’s synthesis of verité documentary, incidental narrative, and beauty-for-beauty’s-sake. MEMPHIS // a film by tim sutton // TRAILER from v r on Vimeo.